Population-based methods work well in medicine. Answers found in simplified and controlled environments remain applicable in reality because the practice of medicine combines them with qualitative observation. But the same cannot be said for social determinants of health, where the complex nature of community confounds our ability to control inputs and renders population-based solutions necessary but insufficient. We must, therefore, accept that too much is lost when we treat communities like populations. The path to creating a better system for studying and materially improving the health of communities begins with a better understanding of the two things that set it apart: perspective and dynamics. Regardless of our education, wisdom or intentional objectivity, each of us experiences the world through the limited perspective of our existence as a single node inside a living system we call community. Through this narrow lens, it is difficult – perhaps even impossible – to understand the complexities of the whole unaided. To illustrate why, imagine you are stopped in a traffic jam. It is easy enough to see that you are now part of a community of sorts with the cars around you – you are all stuck. But your ability to understand the problem is limited because the data on which you must rely in this situation (what you can see) is not necessarily representative. Who has not changed lanes only to find themselves worse off than before? Another example with which we are all familiar is the weather. Before the 1970s, weather prediction relied on point monitoring stations and theoretical models. The first satellites allowed us to begin seeing the whole system in action. Since then, technological advancement continues to provide new data that feeds our understanding and leads to better predictive models and more accurate forecasts. There is no tool like the satellite for seeing community systems from the outside as we do weather systems – yet. Creating such a tool is a necessary first step toward being able to accurately predict, change or mitigate the results of various interactions within the community on people’s health. The second is to understand community dynamics. Physically, our bodies are parts connected by relationships. Events flowing through those relationships animate the system we recognize as a person just as they do other parts of the universe. In normal health, all the parts, relationships and events of our bodies are constrained to our internal biologic network. Those constraints make it easy to see the boundaries of what is and is not a person, and what separates – or groups into a population – individual people. A community is not similarly constrained or bounded. In a community, a vast number of components - people, events, environmental conditions and more – interact in innumerable ways, creating relationships with many other components in the community through time. People move in and out, die and are born, change or lose jobs, join a gym or become bedridden, and so on and so on; perpetually altering the web of relationships that make a community. The changes can be good, benefitting the entire community. Consider, for example, the ripple of positive change that might occur if a tainted water supply was fixed or replaced. But a community can become ill just as easily. Sickness, ignorance and false ideas can counterproductively flow through the same relationships in ways we may not understand or realize. For this reason, it is critical that we better understand the universe of nodes and relationships connecting our communities and how they interact in ways that impact everyone. An unhealthy community cannot support the health of its members. A deeper understanding will enable us to “tune” the network to better serve everyone, limiting the effect of common failures in the web’s structure. Medicine has succeeded in understanding and improving the biological health of people because we are able to both apply the findings of quantitative population-based science and make qualitative observations of individuals in real time. The combination of the two creates a powerful way to test and learn about the various ways we can predict, change or mitigate the results of biological interactions. 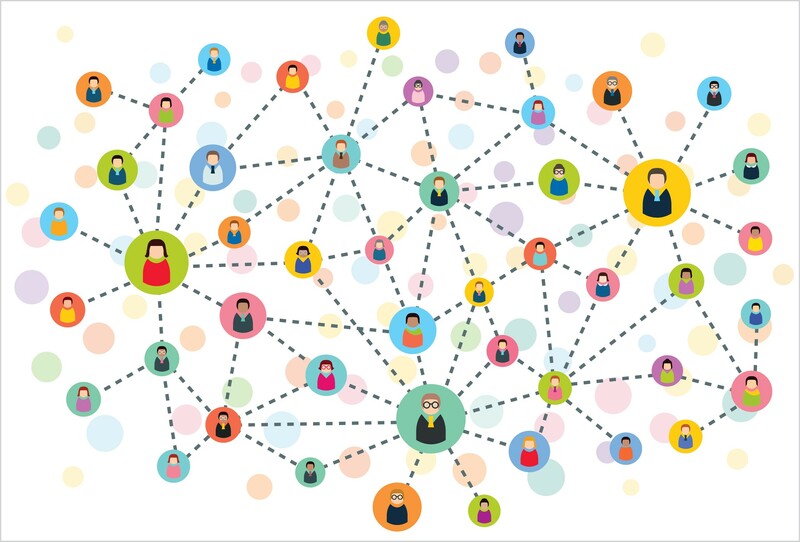 What population science does for medicine, network science can do for community health. By mapping relationships between the various relevant nodes in a community (people, organisms, ideas and things) and tracking each node through time, relational analytics can provide quantitative data about how elements in a community dynamically respond to events and each other. The potential impact this information would have on how we approach social determinants of health and make measurable improvements in overall community health is indescribable. As I explored in a previous article, this work is best done within the community using community-specific tools. While medical systems will be helped immensely by the reduction in cost and increase in quality of care, the medical model itself is too rigid and lacks the necessary qualitative methods. We are all best served by delegating to accountable community organizations. Our communities are suffering, even if most of us can’t see it from our own place in the traffic jam. Only when that changes can we hope to make lasting positive interventions to sustain the communities that give us life and support our future.